Celebrate your wedding on Crete at the St. Nicolas Bay Hotel on the deck of our beach side chapel. Say ‘I do’ in this dreamy location with the blue waters of the Cretan Sea glinting in the background. 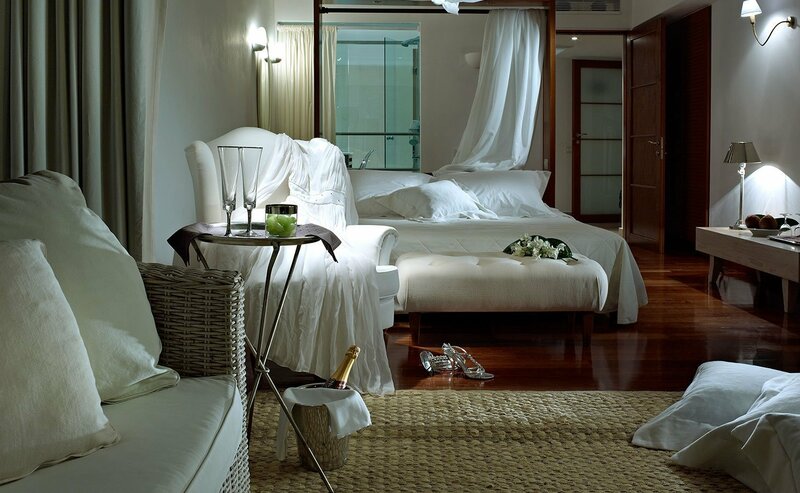 Our sumptuous Honeymoon Suite is sheer elegance with an exceptional personal service and attention to detail. 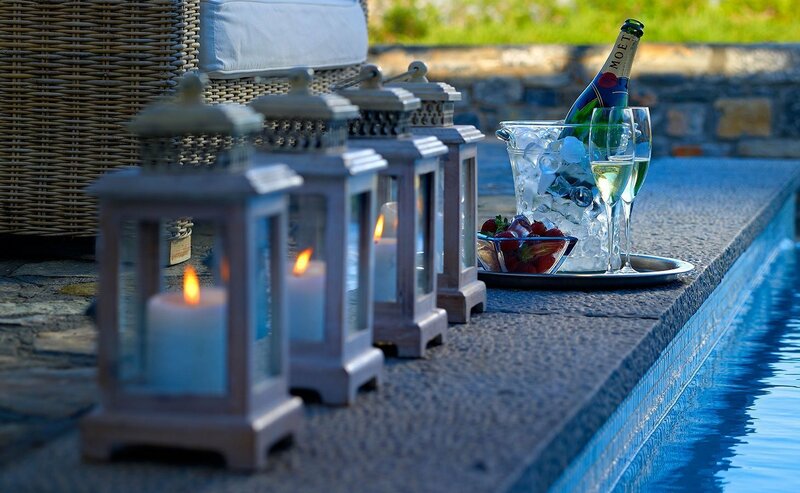 The spacious terrace next to the pool, the intimate atmosphere and the luxury all combine to create memories of your Crete honeymoon that will stay with you forever. Celebrations are tailor-made whether a couple is planning a romantic wedding or a festive family celebration. St. Nicolas Bay Resort Hotel has at your disposal the guest service team dedicated to providing couples with personalized attention to meet any special requests. For just the two of you or for your friends and relatives, a memorable celebration can be arranged in one of the Resort’s Restaurants and Bars. Culinary options alongside your choice of music, the services of a professional photographer or a fireworks display can also be arranged on request. Flowers for all occasions and wedding table decorations are ensured by our expert florist to tailor made particular requirements. Please contact us for a detailed quotation for your wedding ceremony and optional Wedding Amenities. Excellent facilities for weddings and honeymoons are available in different venues.